Dive into Ready to Ship to easily print your shipping labels! InkSoft has integrated technology to give you the best possible rates when purchasing a shipping label. NOTE: You can edit the dimensions/weight and purchase up to 10 labels in bulk by selecting the check boxes next to each shipping card. The (estimated) cheapest priced label that includes accurate delivery date will populate first. By clicking on the shipping service you will receive other label options. You will receive your order total for the labels based on your choice. NOTE: You have the ability to update the Ship From address prior to selecting and purchasing a shipping label. PDF - 4" x 6"
PDF - 8.5" x 11"
Click Purchase Shipping Labels when you finalize your choice. NOTE: Payment will be deducted from your integrated shipping account based on the carrier you selected. Here you will have the ability to record multiple packages/purchase additional labels for the order. Note: USPS (Stamps.com) does not support multi-package shipments. 1. Enter the weight and package dimensions for the first package. 2. Choose your shipping service/method and label format. 3. IMPORTANT: Check the box that says "Do not mark order as complete. Additional items still need to be shipped." 4. Click on "Purchase Shipping Labels". 5. 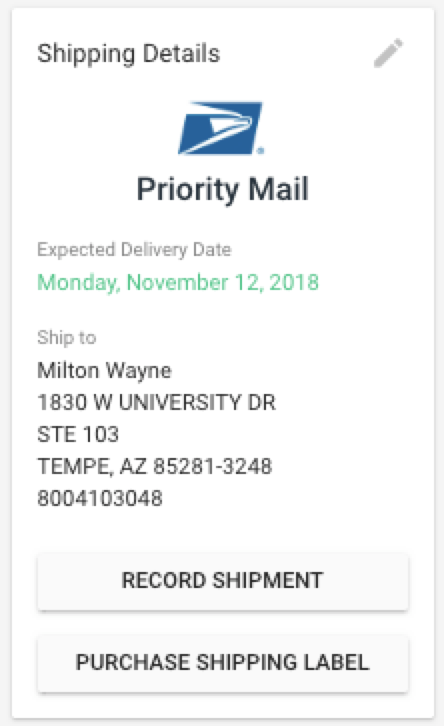 Your shipping label for the first package will download to your computer, and you can print the label. 6. Repeat steps 1-5 for the next package. When entering your last package for the split shipment, leave out step 3 (do not check the box). This will then mark your order as Completed. Note: Following these steps will allow you to record multiple packages and print multiple shipping labels for purposes of split shipments on one order. However, keep in mind that each shipping label will have its own unique tracking number. 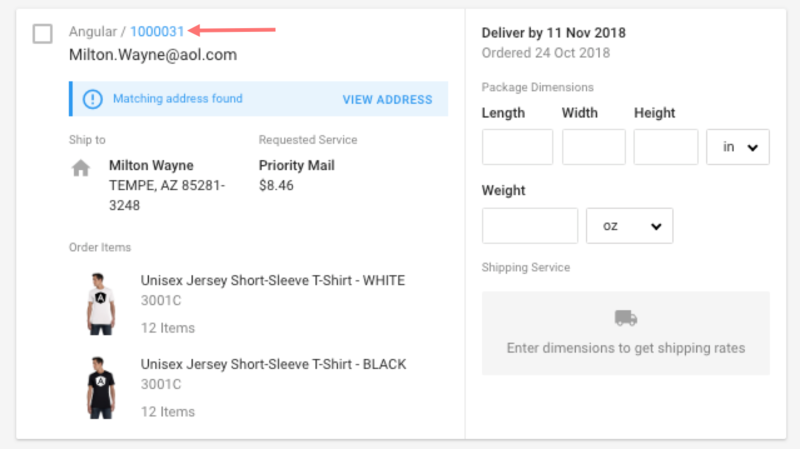 Once you purchase shipping labels, your orders will be marked as completed and an email will be sent to your shoppers letting them know of their tracking number and delivery date.